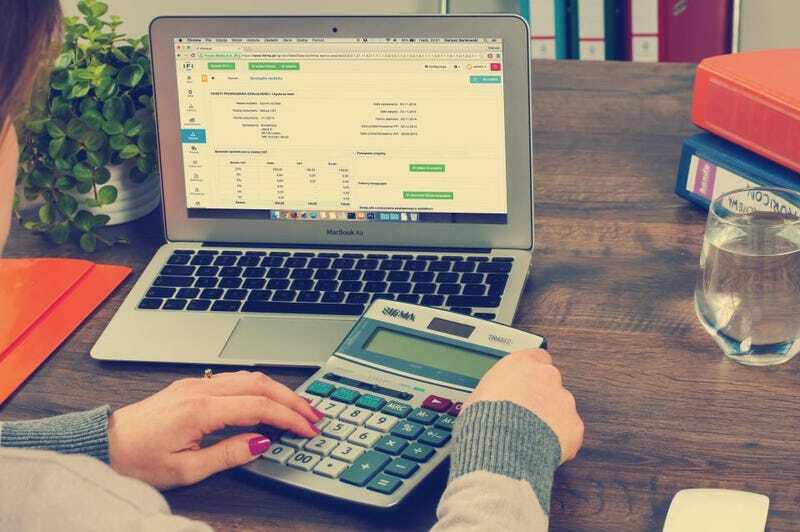 Unless you are a freelancer who works in accounting, financial management, or other similar field, there is a good chance that money management is not your favorite thing to contend with. Let’s face it, dealing with financials is complicated for freelancers. After all, there are no set paydays for many of us. In spite of this, however we are still expected to pay our bills on time. Freelancers also have to contend with invoicing customers, putting money aside for taxes, tracking expenses, and managing to stretch income from one payment to the next. Even worse, screwing up your financials can be disastrous. Don’t worry though! There are solutions that will work for even the least money savvy freelancers. Check out these money management tips and get your business and personal finance act together! Everybody should plan for emergencies. As a freelancer, this is even more important for you. You never know when times are going to be lean, or when you are going to have an unexpected expense. Remember though, that you and your business are two separate entities. This means creating two emergency funds. Once those are adequately funded, you can start contributing to other savings funds. For example, it may be in your best interests to add money to a business development fund that can be used for marketing expenses, new equipment, etc. Don’t forget about putting money away for personal reasons as well. Remember that freelancers don’t get paid vacations, so you will have to save up more for leisure time than other people. Many people wonder how much they should put into savings. That is a difficult question to answer. It depends on your industry, your financial needs, and a variety of other factors. It might help to think about the longest amount of time you’ve gone without income, then figure out how much savings you would need to survive that long. There are many reasons to create a separate business and personal financial life for yourself. First of all, it becomes much easier to keep track of things when they are divided into business vs. personal. In addition to this, keeping things separate gives you a very clear vision of the health of both your personal and business finances. This can be helpful if you need to identify the source of any financial issues. Of course, let’s not forget tax time. Whether you do your own taxes or hire somebody, you will be happy that you and your business are separate entities. Finally, there is the issue of liability. Incorporating is a great way to protect your assets, but if you do so, you will be expected to open separate accounts for your LLC. Money management also includes ensuring that you are being paid a fair rate for the work that you do, and that you are not losing out on business because you might be overcharging. Every so often, it is a good idea to do a bit of comparison shopping among your competitors to see if your rates are competitive. Also, if you consult in different markets, it is important to remember that what is competitive in one market might be inflated in another. Stay on top of local economies and supply and demand as well. Online trade magazines are another great resource for going rates, as well as internet bulletin boards made just for freelancers. One popular option for many small business owners is Mint. Quicken is another choice. There are many possibilities to choose from. However, before you make a choice, check with your bank. They may have a free financial management app for you to use that works with their database. If not, they can still tell you which packages are compatible with their services. This will ensure that you can automate as much as possible. We’ve all seen it on television. It’s the middle of the night on April 14th and some poor sap is at his kitchen table shuffling through a shoebox full of business receipts and other paperwork. It might be funny on television, but it is an absolute nightmare in real life. Putting off paperwork for a few days makes it even more tempting to wait until the end of the week. Next thing you know, a month has passed, and you are no longer dealing with something that is manageable. Get an app or scanner that allows you to take a snapshot of receipts and other documents. Then, file them away or send them off to the shredder. When you need to find something, or it is time to pay your taxes, you will be grateful that you did. When you first opened your consulting business, hiring a consultant was probably the furthest thing from your mind. After all, you had enough to think about in getting enough business together to cover your own expenses. Besides, when things are getting started, it can be fun to wear a variety of hats. Things are probably different now, aren’t they? The more your business grows, the more you have to worry about when it comes to finances. For example, are you familiar with the tax laws that apply to you, or what you should do if you are audited? Are you better off paying your tax bill quarterly, or waiting until the end of the year? What about deductions and tax credits? A good accountant can take care of all of that for you, and help you to keep your books straight throughout the year. To be honest, everybody should be thinking about their retirement, but it is an even more pressing concern for freelancers. W2 employees have some safeguards and easy options when it comes to preparing for retirement. In many cases, their employer offers a 401K program, often with matching. Anybody who wants to participate simply fills out a form and indicates the percent of money they want taken from each check and invested for their future retirement. There’s also social security, another simple deduction that comes out on payday. You get none of these things. You are basically on your own to select the retirement fund that works for you, and to earmark the funds that go into that investment account each month. You might even need to open more than one account to ensure that you are well diversified. It might be tempting to put this off, but that’s a bad idea. Once you have your emergency fund flush, start thinking about retirement. There is nothing wrong with using technology to help with your money management needs. It is also perfectly find to hire accountants and advisors to assist you in making the best financial choices. However, none of these things should be considered to be a replacement for your own knowledge and involvement. Take the time to learn about your financial situation. Remember that fraud and identity theft are rare things, but they can happen. In many cases the people who commit these acts rely on their victims to be less than educated about their own money. Once you have a handle on your personal finances, you can begin learning about other options such as investing for growth.